The People of Damascus Revolt -- in 1895. 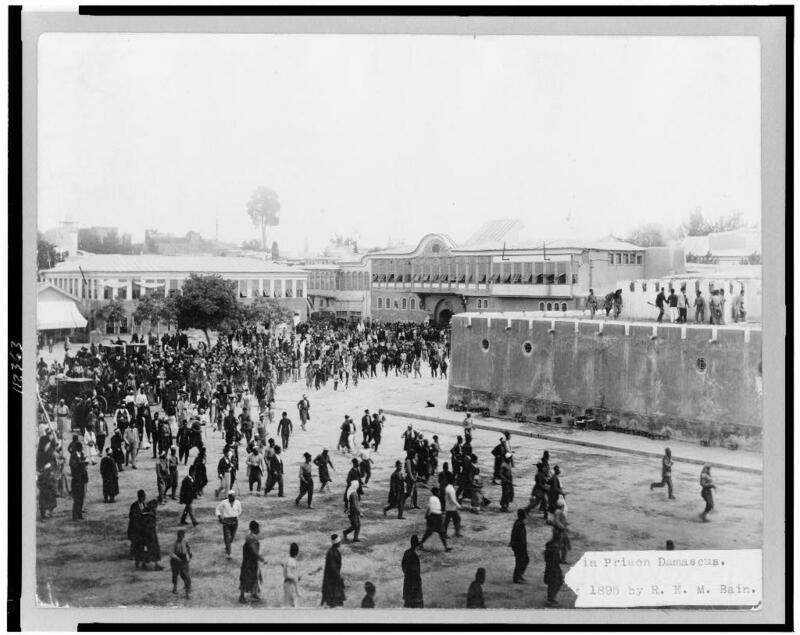 In light of events taking place in Syria today, we depart from our normal presentation and publish an 1895 photo of a prison revolt in Damascus, Syria found in a Library of Congress collection we usually don't cite: the George Grantheim Bain collection. We encourage experts on Syrian history to provide details on the events portrayed here.